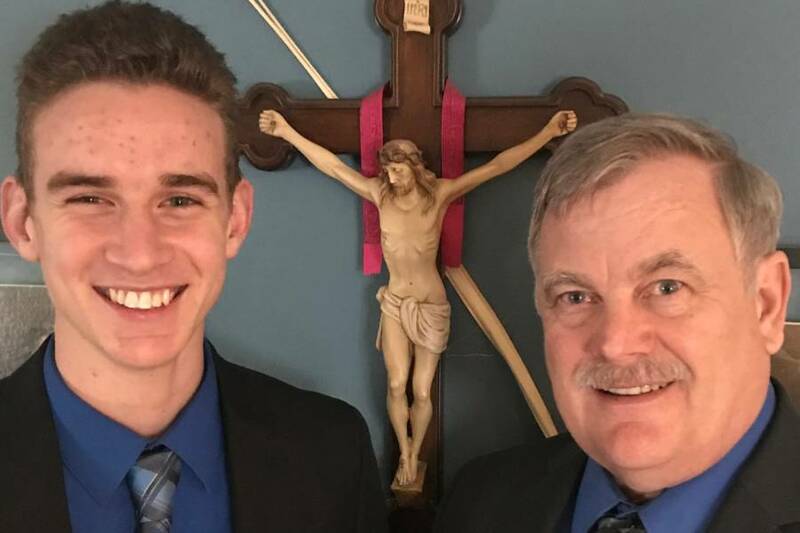 The unvaccinated high school senior claims that the state's health department is violating his freedom of religion. CBS News screen grab.18-year-old Jerome Kunkel. 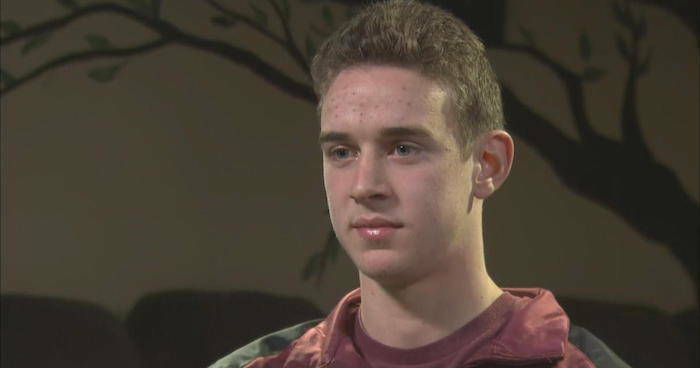 18-year-old Jerome Kunkel, an unvaccinated student enrolled in Our Lady of the Sacred Heart/Assumption Academy in Kentucky, is suing the Health Department for being barred from school and prohibited from playing in his high school’s basketball games. “I don’t believe in that vaccine at all and they are trying to push it on us,” Bill Kunkel, the student’s father said in a video interview with WLWT5. He added that his family’s belief stems from the fact that the chickenpox vaccine is derived from aborted fetus’ and that as Christians, the family is against abortion. A court hearing for the lawsuit is set to take place in April. Due to growing disease outbreaks across the U.S., many state health departments have issued mandatory exemptions for school students who have not been vaccinated. On March 14, the Northern Kentucky Health Department issued a statement in which it reported that 32 students at Kunkel’s school, Assumption Academy, had contracted chickenpox. The Health Department, therefore, ruled that unvaccinated students would not be allowed to attend school until 21 days after the last sick student or school staff recovered. “Although we have been working with the school to contain the illnesses since February… the Health Department has recently seen a concerning increase in the number of infected students at the school which has prompted us to take further control measures at the school and to make the public aware that chickenpox may be in the community,” District Director of Health at the Northern Kentucky Health Department Dr. Lynne Saddler reported. 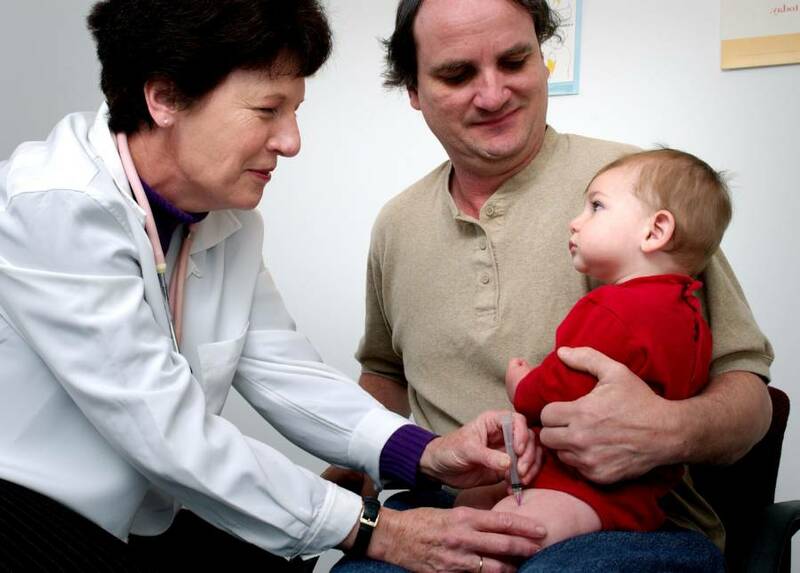 Child receives vaccination from doctor. The department’s statement also said that the chickenpox vaccine was “the best way to prevent becoming ill and spreading the varicella virus. It is very safe and prevents almost all cases of severe illness.” Parents in the community were urged to closely monitor possible symptoms in their children. But according to Bill Kunkel, the school’s ban is an infringement on his family’s religious rights. According to Kentucky state law, residents are allowed exemptions from vaccination under religious beliefs, so long as the proper waiver forms are filled out. The family’s lawyer Chris Wiest stated that his clients had submitted the necessary exemption forms last year. Wiest also said that the parents of at least 18 children at the school had contacted him since the Health Department’s announcement. Despite the lawsuit, the Health Department sticks to its stance. The department issued another statement, referencing Wiest’s tweets online in which the department believed was spreading misinformation about vaccinations to garner public support of the Kunkel family’s lawsuit. Wiest reported that the school had told Kunkel in February, around the same time that the Health Department had started receiving reports of chickenpox cases, that he could not play in or attend any basketball games because he was not vaccinated. Now, Jerome Kunkel is barred from attending school entirely, a rule that applies to all students who are unvaccinated or who cannot provide proof of vaccination. All extracurricular activities involving the school or the public have also been canceled for the time being. True MedianJerome and Bill Kunkel. Chickenpox is often regarded as a “regular” childhood illness, but the Center for Disease Control posited that the chickenpox can actually be deadly, especially for people with a weakened immune system. In an interview in 2015, Merck, a manufacturer of the chickenpox vaccine, acknowledged that the original cells used to create the vaccine were taken from an electively aborted fetus. According to the Food and Drug Administration, vaccines for diseases like hepatitis and rabies were also derived from cells originating from legally aborted human fetuses. These cells were then used to start a cell line, or descendant cells, that are then used in the vaccines of today. This also means that the original aborted fetus cells are not used in vaccines now. 15 states, including Kentucky, have reported measles outbreaks this year — and that is only through March. The CDC attributes this to two things: firstly, an increase in the number of travelers who get measles abroad and bring it into the U.S., and secondly, further spread of measles in communities of unvaccinated people, often due to religious or secular views. 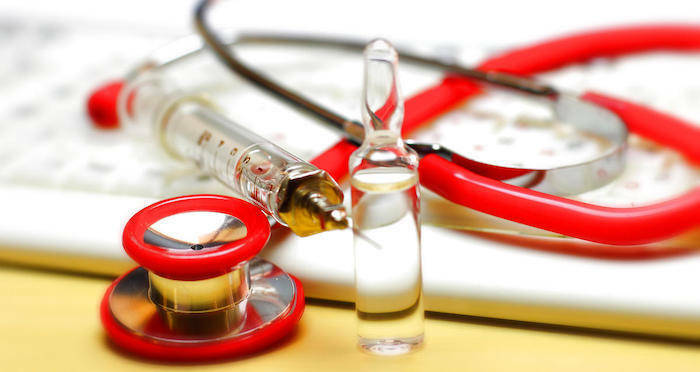 False information about vaccinations, such as the belief among anti-vaxxers that vaccines can cause autism, also contribute to the growth of the dangerous movement, even with decades of research debunking these myths. Next up, learn about this recent case of an unvaccinated boy who almost died of tetanus. Then, read about the dad who didn’t vaccinate his kids and caused an outbreak in Vancouver. Natasha Ishak is a staff writer at All That Is Interesting.